Health is a State subject and the setting up of more AYUSH Hospitals in the States/UTs are under the purview of concerned State/UT Governments. However, under Centrally Sponsored Scheme of National AYUSH Mission (NAM) there is a provision for setting up of 50 bedded integrated AYUSH Hospitals in the States/UTs. The State/UT Governments are required to submit their proposals through the State Annual Action Plan (SAAP) as per the guidelines of the scheme. As per the information received from the States/UTs, thetotal number of existing AYUSH hospitals in the country as on 1-4-2014 is 3575 out of which 2814 are Ayurveda hospitals , 264 are Sidha , 252 are Unani and 203 are homeopathy while 34 are naturopathy. The total funds allocated and released to the States for setting up of 50 bedded integrated AYUSH Hospitals during 2014-15 and 2015-16 are Rs 531 lakhs. Under Centrally Sponsored Scheme of National AYUSH Mission (NAM) provision has been made availablefor improving the conditions of theexisting AYUSH hospitals in the country under the component of Upgradation of AYUSH Hospitals. 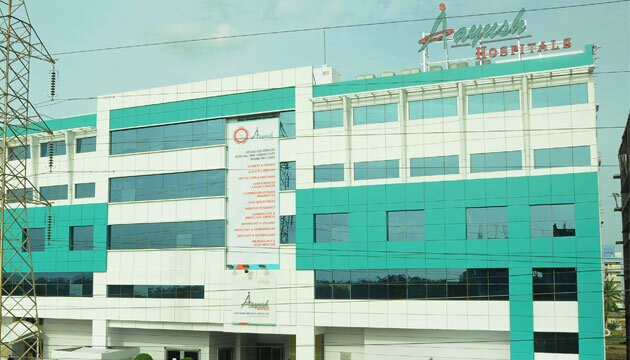 As per the guidelines, existing exclusive/standalone Government AYUSH Hospitals are provided non-recurring Grant-in Aid for undertaking construction, renovation of the existing premises, procurement of furniture, fixtures & equipments and recurring Grant-in Aid for procurement of medicines, contingency and deployment of additional manpower. The State/UT Governments are required to submit their proposal through the State Annual Action Plan (SAAP) as per the guidelines of the scheme. This information was given by the Minister of State (Independent Charge) of the Ministry of AYUSH, Shri Shripad Yesso Naik in reply to an unstarred question in Lok Sabha today. Central Regulatory Regime for AYUSH drugs. The Government has considered setting up a structured central regulatory regime for AYUSH drugs. In this regard, the current proposal is to have a vertical structure for AYUSH in the Central Drugs Standard Control Organization (CDSCO). Procedural steps for setting up this structure have been initiated but the timeframe for which cannot be specified at this stage. Presently, the Drugs and Cosmetics Act, 1940 and Rules thereunder have exclusive provisions for AYUSH drugs, which are enforced by the State Governments. For regulating the practice of Ayurveda, Siddha, Unani and Homoeopathy, the Government has established Central Council of Indian Medicine and Central Council of Homoeopathy under the provisions of Indian Medicine Central Council Act, 1970 and the Homoeopathy Central Council Act, 1973 respectively. | This information was given by the Minister of State (Independent Charge) of the Ministry of AYUSH, Shri ShripadYesso Naik in reply to an unstarred question in Lok Sabha today. (i) Co-location of AYUSH facilities at Primary Health Centers (PHCs), Community Health Centers (CHCs) and District Hospitals (DHs) including Yoga and Naturopathy. (ii) Up gradation of exclusive State Government AYUSH Hospitals and Dispensaries including Yoga and Naturopathy. (iii) Setting up of up to 50 bedded integrated AYUSH Hospital including Yoga and Naturopathy. (iv) Upgradation of State Government Educational Institutions including Yoga and Naturopathy. (vi) Under the flexible components of the scheme of NAM, provision has been made for Grant-in- aid to the Yoga Wellness centers and Naturopathy hospitals. Under the Central Sector Scheme of Information Education Communication (IEC), there is provision of propagation and promotion of AYUSH systems including Yoga for treatment of common ailments through various media channels and other publicity activities like organizing Arogya fairs, providing financial support for fairs, conferences, seminars etc., on AYUSH systems. Morarji Desai National Institute of Yoga (MDNIY), an autonomous organization under Ministry of AYUSH, has started Bachelor of Science (Yoga Science), a regular course of three years duration, Diploma in Yogic Science of one year duration and certificate course in Yogic Science for specified Target groups (Paramilitary Personnel). Central Council for Research in Yoga and Naturopathy (CCRYN), an autonomous organization under Ministry of AYUSH, is running 8 Yoga and Naturopathy Out Patient Departments (OPDs) in Government Hospitals of Delhi and Haryana. A scheme titled as “Yoga Training for Police Personnel” has been formulated by the Ministry for promotion of health and prevention of diseases, in order to bring awareness among police personnel towards healthy lifestyle and improve their skills through Yoga practices covering all districts of the country. This information was given by the Minister of State (Independent Charge) of the Ministry of AYUSH, Shri ShripadYessoNaik in reply to an unstarred question in Lok Sabha today. An MoU between the Government of the Republic of India and the Government of Mongolia to strengthen, promote and develop on Cooperation in the field of Traditional Systems of Medicine and Homoeopathy was signed on 17.05.2015. Signing of MoU will help the two countries to gain better understanding of Traditional Medicines and their management systems on the two sides thereby enhancing cooperation in the field of Traditional Medicine. vi. Permission to practice on reciprocatory basis by the qualified practitioners as per the existing laws. The Government of India has set up the National Medicinal Plants Board vide resolution notified on 24th November, 2000 to co-ordinate with Ministries / Departments/ organizations / state / UT Governments for development of medicinal plants sector in general and specifically in the areas relating to assessment of demand supply, advising on policy, promotion of conservation, proper harvesting, cultivation, quality control, research and development, processing, marketing of raw material in order to protect, sustain and develop this sector. 1. Central Sector Scheme for “Conservation, Development and Sustainable Management of Medicinal Plants”aimed at providing support for Survey, Inventorization, in-situ conservation, ex-situ conservation / herbal gardens, Research and Development, linkage with peoples collectives like Self Help Groups (SHGs), Joint Forests Management Committees (JFMCs) etc. The Scheme is being continued during the 12th Plan. 2. Centrally Sponsored Scheme of “National Mission on Medicinal Plants”is primarily aimed at supporting cultivation of medicinal plants on private land with backwards linkages, for establishment of nurseries for supply of quality planting material etc. and forward linkages for post-harvest management, marketing infrastructure, certification etc. Currently this Scheme is being implemented as a component (Medicinal Plants) of the National AYUSH Mission (NAM) Scheme of the Ministry of AYUSH. For increasing the availability of medicinal plants in the country, the NMPB under its aforesaid Schemes is mainly supporting the activities / programmes for augmenting the existing resources and cultivation of prioritized Medicinal / herbal plants species. Presently, as such there is no region specific programme / scheme for the cultivation of herbal plants which are endemic to specific region.However, the programme of cultivation of medicinal / herbal plants is being implemented in the States under the Scheme of National AYUSH Mission (NAM). The Scheme is being implemented in a mission mode through Mission Director identified in the States. The State Mission Directors prepare the State Annual Action Plans (SAAP) for cultivation of prioritized medicinal / herbal plants which are being approved by the Directorate of NAM. NMPB supports cultivation of herbal plants by providing financial assistance in the form of subsidy @ 30%, 50% and 75%. The endemic and endangered herbal plants are generally kept at category eligible for 75% subsidy, so as to promote their cultivation in a large scale. The 95 prioritized medicinal / herbal plants species under the NAM Scheme is annexed. There are a total of 543 Colleges of AYUSH functional in the country currently. Out of this, 281 are of Ayurveda, 191 of Homeopathy, 44 are Unani, 18 are of Naturopathy and 9 of Sidha. There are 6 States - Manipur, Meghalaya, Mizoram, Nagaland, Sikkim and Tripura and 4 Union Territories - Andaman and Nicobar Islands, Dadar and Nagar Haveli, Daman and Diu and Lakshadweep, where no AYUSH college has been established so far. Under the provisions of Section 13A of the Indian Medicine Central Council Act, 1970 and Section 12A of the Homoeopathy Central Council Act, 1973, the Central Government grants permission to establish new Ayurveda, Siddha, Unani (ASU) and Homoeopathy Medical Colleges, respectively. There is no Central Act and Regulatory Central Council for Yoga and Naturopathy. A total of 92 proposals have been received from States/UTs during the year 2015 from various institutions (Private as well as Government) for opening of new Ayurveda, Siddha, Unani and Homoeopathy Medical College in the country. Out of this, 63 proposals are for Ayurveda colleges and 22 for Homeopathy. Ministry of AYUSH has not received any proposal for recognition and strengthening of ancient international yoga college in Munger of Bihar.